Online searches for H-1B Canada have increased even as President of the US Donald Trump plans to have tough laws for extension of H-1B visas. 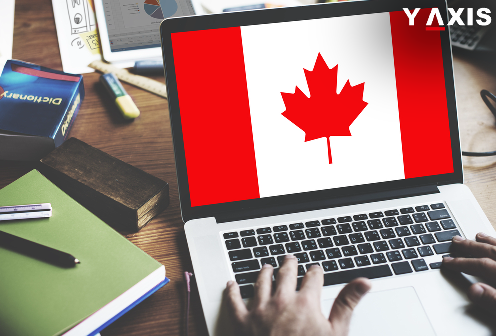 It has been reported that there has been a sharp increase in the search of the online term such as H-1B Canada in the recent days. Leading news dailies such as the New York Times had earlier reported that stringent H-1B visa rules will benefit Canada. Highly skilled overseas workers with expertise in Biotechnology, Education, Healthcare, Medicine, Science, and IT will be affected by these changes. The idea that Canada stands at an advantage has been supported by searches in Google originating in the US with terms such as H-1B Canadian and H-1B Canada. It is from around 2 January onwards. This is the same time when it was announced first by McClatchy D.C. that Trump was considering changes to H-1B visa extensions. The proposal was sent to Trump by Department of Homeland Security asking for a cap on extensions of H-1B visas. If accepted overseas workers in the US awaiting a decision on extensions will be forced to move out of the US even before disposal of their applications. It will affect nearly 750,000 to 500,000 Indians in the US holding H-1B visa, as quoted by the CIC News. The Federal and Province level governments of Canada highly prize the skilled overseas labor that will be affected by H-1B visa changes. Majority of them are Indians. The immigration programs and policies have been customized by Canada in the recent years in a way to welcome such workers. H-1B visa applicants who are considering to move to Canada have multiple options to obtain Canada PR. This can be renewed after 5 years. It also permits the holders to reside and worn in any part of Canada. Canada has launched the Global Skills Strategy to prioritize highly skilled overseas workers that are in demand in the labor market. Its Global talent Stream processes provisional Work Permit for specifically skilled workers within just 14 days. Indian workers are the most successful when it comes to the immigration system of Canada. They top the list of nationals offered ITAs for Canada PR by the Express Entry system. Even the Provincial Nominee Program of Ontario offers the highest invites to Indian professionals. Ontario is the most popular destination for overseas immigrants.